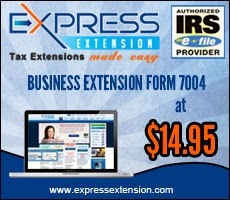 E-Filing a Tax Extension is quick and easy with ExpressExtension. Depending on which type of extension you need to file, the extension will allow you an additional 3-6 months to file your tax return. However, a Tax Extension DOES NOT extend the time to pay your taxes. The IRS still expects full tax payment of any taxes due by the required deadline. Failure to pay the taxes by the due date may lead to penalties and/or interest. If you have any questions about E-Filing Tax Extensions, you can call, email or chat online with the Express Tax Support Center in Rock Hill, SC at 803-514-5155 between the hours of 8am – 6pm EST, Monday through Friday or email support@ExpressExtension.com.